""You want to be a billionaire? Solve a billion-person problem." -- Peter Diamandis"
We are meeting with government officials of X country. X has a serious dilemma, one which is not uncommon in this era, and which will become the norm for most countries very soon. X is throwing vast sums — 60 billion this year — into finding oil. It does not consider the dilemma of what happens if it finds the oil and then cannot drill and sell it because to do so would be counterproductive to survival of life on the planet. It does not consider what might happen if it were extraordinarily lucky in its exploration and happened upon such great wealth that it attracted the interest of militarily powerful and ambitious neighbors. It does not consider the potential downside of a boom and bust cycle a favorable discovery of any size would augur, or the destruction of indigenous culture, endangered species or fragile habitats. It just wants the oil, for its own sake. It is like the truck driver on a long distance haul across Texas after midnight. It is locked into the white stripe, in the groove, doing whatever comes next, without much thought or planning. We tell the government officials that we can provide more power than they need, at a tenth of the cost of the oil, and we can do it from feedstocks they consider wastes, and we can use processes that net sequester greenhouse gases at each step, with a lifecycle cost that is high in the black, low capital outlay and quick return on investment. Oh, and it arrests global warming, deepens soils, saves water and increases biodiversity. Surely we are trying to sell them snake oil, what we propose is illegal, or there is some neglected externality in our calculus that makes our proposal fall apart once exposed to serious scrutiny. We say, no, actually. We have already vetted all these steps we propose. They follow a simple formula that has no secrets, no privacy, no confidentiality contracts, and anyone could replicate them in whole or part if they so desire. We list our tool kit: biochar, ecovillage design, permaculture, holistic management, keyline water systems, native agroforestry, alley cropping cell divisions, constructed wetlands and chinampas, leaf protein extraction, bioenergy crops that first produce food, and productive, satisfying and fun things for people to be doing together. We say that if we do this, and others do also, we can stop destructive climate change without worrying about the outcome of the Paris climate talks in December, the obstructionist control of legislators, or the collapse of global Ponzinomic finance. It is justified solely by energy 5 times cheaper than solar cells and better, nutrient dense food, produced without all the costs of pesticides, herbicides, antibiotics and fertilizers. It solves so many seemingly intractable problems simultaneously that once set in motion it will never be arrested. It will create a garden planet. The officials are both non-plused and unwaivering. They use all the standard cop-outs: buck-passing to higher authority, decrying the state of the legal system, urging we wait for a more politically attuned administration and perhaps spend that interim working for its election; and suggesting the need for further study. No matter, whether the Paris outcome is fair or foul; whether the price of oil goes up north of $100 again or south to new lows below $25; whether governments come or governments go. Weather drives this market. The wise will look towards shelter. Once this package is readily available, and the expense is more than justified by immediate returns, the product will sell. Little, short of catastrophic economic collapse, can stop it. Quite frankly, at this point, I'm not even convinced catastrophic economic collapse is sufficient to stop it, just slow it down a lot. Global thermonuclear war would stop it, along with everything else. John D. Wheeler, I considered mentioning GTW, or pandemic disease like bubonic plague, but decided those also fit under "economic collapse." 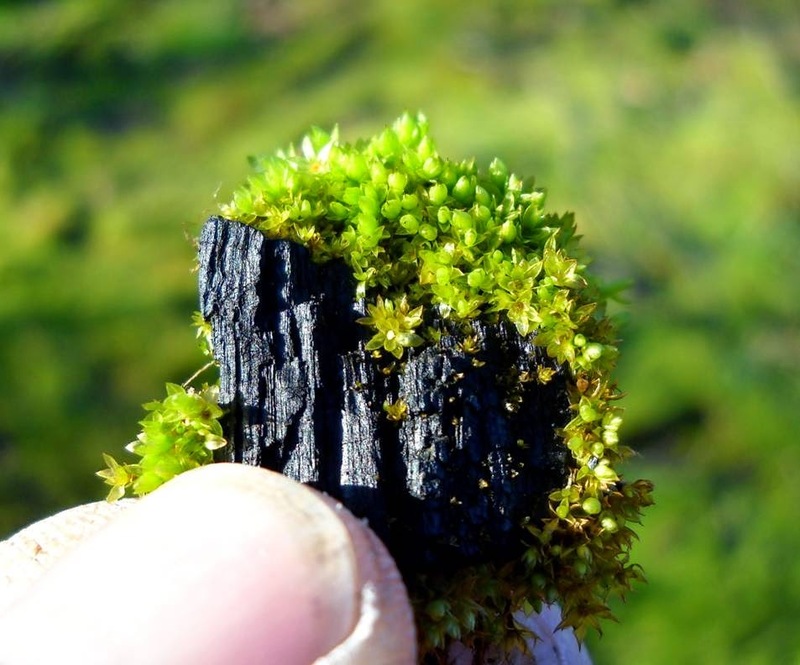 And the "it" being modified here is not climate catastrophe but the climate mitigation effect of biochar and the other elements of permacultural ecological restoration. That juggernaut could be halted if sufficient humans were no longer available. GTW, ironically, might accomplish the same end however, as we saw from the Colombian Encounter, Genghis Khan's reforestation of Europe, and Chernobyl. Albert, your manifesto makes entire sense. Only the Idiot Faction can stand in the way of logic and life itself. At the risk of gilding the lily, I would add to the bag of essential sustainability tricks the replacement of oil-transport oriented trade: sail transport, bicycles and bike carts, and animals. The first one, promoted by www.SailTransportNetwork.org since 1999, is critical for future exchanges of surpluses to enhance a bioregion's food supply and culture. "Everyone loves the sea," so it's time to encourage everyone to honor this, have some fun, and do something about the 16 largest cargo vessels today, out of a total of over 70,000, that are emitting as much sulfur and other pollutants as all the world's cars. Sailing routes using trade winds allow speeds for engineless transport faster than the average oil-burning cargo vessel is going today. The naysayers locked or corrupted into the fossil fuel/consumer economy will soon be taking note of successful sail cargo projects such as in northern Europe, so getting on the bandwagon is inevitable. It would be nice to make time of the essence in order to have a habitable planet without the unclear but certain threat of positive feedback climate loops. Even Economic collapse will not stop it. Life knows how to fight entropy. The current systems are built out of fear, induced in past times by the occupation of those who are now emulated. Continuing in the mode of slaves, we all must realize that the current monetary system is nothing but a carrot and stick to drive most of us over the cliff. Back to another bottleneck, last time of 5-10K survivors, this time? No the integrated movements back to harmony will not be stopped, but sure got stalled in this totalitarian government into which I was born. How much biochar does it take to sequester 2.17 lbs of CO2? I believe that's how much is released for every KWh of electricity produced by the quality of coal we have today. More importantly to me, How much does it cost to produce those 2 lbs of biochar, assuming a scale of thousands of pounds of biochar a month? I'm looking at renewables, and the cost per KWh generated is not the only cost factor. I want to calculate a "carbon sequestration fee" onto grid-purchased electricity rates to make the comparison fair. It will also help me to calculate the embedded carbon cost of the renewable setup. The atomic weight of carbon is 12 atomic mass units, while the weight of carbon dioxide is 44, because it includes two oxygen atoms that each weigh 16. So, to switch from one to the other, use the formula: One ton of carbon equals 44/12 = 11/3 = 3.67 tons of carbon dioxide. Thus 2.17 pounds of CO2 = 0.59 lb C.
Biochar typically loses 10% in the first century as it loses its labile component in the soil. The rest remains indefinitely – thousands to millions of years. So, 90% of 0.59 is 0.53 lb C. This is how much biochar is required to offset each kWh of coal energy. Prices are more difficult to gauge. Currently the spot market price of sequestered Carbon – CRTs - traded on The Green Exchange and CCFE are $5/ton but this month Europe is putting in a floor of about $25/ton and the COP21 deal in Paris in December should solidify the market and allow it to rise. At $25/ton each kWh would cost USD$ 0.006 (half penny) to offset. At current CRT prices 0.001. Pricing biochar is trickier. I made a batch from bamboo yesterday and I'd calculate the labor component alone was about 25 man-hours for 50 pounds, or half a man-hour per pound. If you pay labor $10/hr that is $5/pound or $2.50 per kWh. It would not be financially justified unless you factor in something like trying to grow tomatoes in California this year. See http://www.theguardian.com/environment/2015/feb/24/european-carbon-emissions-trading-market-reform-set-for-2019 for a current article on carbon trading exchanges. I am growing tomatoes in California this year! Along with most the veggies we eat. Provided municipal water supplies remain stable. Wells are running dry with ten miles of us. Those are sobering figures. I had no idea the cost of electricity, when you factor in just one of the externalities dumped onto the biosphere, was close to $ 3.00 a KW here in California. I was shocked at the 2.17 lb of CO2 per KWh. I know biochar has a greater value than just the carbon sequestration, but for a simple "cost of externality" calculation, this works. What little faith I had in carbon trading giving us a little breathing room (sic) is reduced on seeing those figures.